When you watch Elementary Season 4 Episode 12 online, a botany professor and his students are sharing a transcendental experience with psychedelic mushrooms when things take a tragic turn and they all wind up dead. Sherlock swiftly figures out that the mushrooms were spiked with highly-concentrated deathcap toxin, and Major Crimes takes over the case. The investigation soon leads them to the discovery of another body, that of a biochemist names Charlotte Koenig. Sherlock thinks that she was likely the intended target, and the professor and his students were innocent victims, collateral damage in a complex murder plot involving synthetic concentrated toxins. Things take a bizarre turn when they learn that Charlotte was also involved in the production of counterfeit erectile dysfunction pills, yet there is no sign of the rather significant amount of money she would have made from the sale of the forged drugs. What happened to the money? What scheme had Charlotte cooked up that ended with her death and the deaths of all those other innocent people? Meanwhile, Joan is driven to distraction by the noisy next-door neighbor and is surprised and annoyed to learn that it is now a short-term rental catering towards noisy partiers. 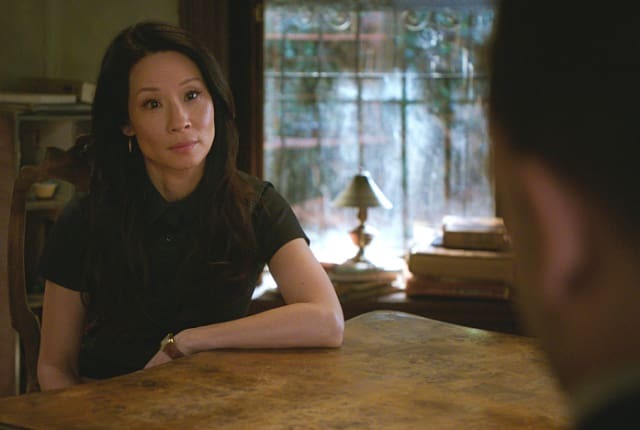 Find out what happens when you watch Elementary Season 4 Episode 12 online! Trent Garby: I did, too. Eventually. By moving out. Permalink: I did, too. Eventually. By moving out. Perhaps we should encourage our local muggers to increase their activity. Permalink: Perhaps we should encourage our local muggers to increase their activity.